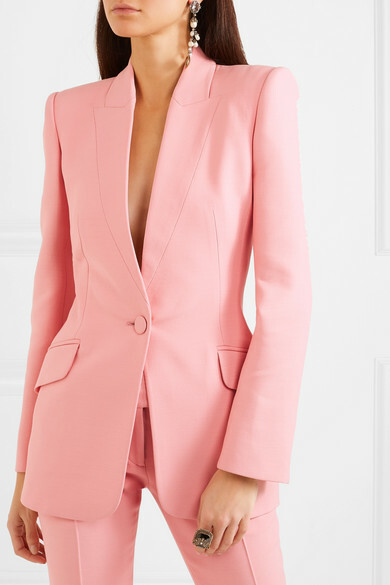 Lee Alexander McQueen may have been a tough act to follow, but since taking the reigns, Creative Director Sarah Burton has struck the perfect balance between keeping the designer's spirit alive and making her own mark. 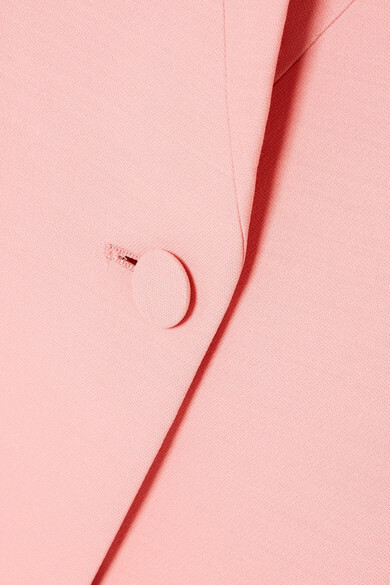 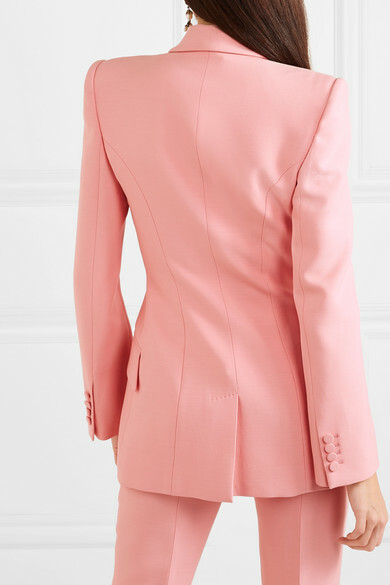 Made in Italy, this flawless blazer is tailored from pink wool-blend enhanced with silk for fluidity. 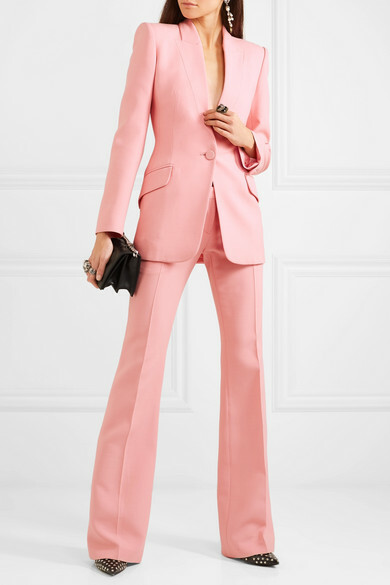 Draw attention to the sculpted shoulders with statement earrings and complete the suit with the matching pants.